Two high-level officials in the New Mexico state government, one the former CFO of the state’s economic development department, the other the former head of the department’s international trade unit, have filed a whistleblower lawsuit alleging that the Secretary of the Economic Development Department, Jon Barela, and his deputy, Barbara Brazil, were involved in a number of allegedly questionable activities: a business co-founded by Barela secretly benefited from a state tax credit program, Brazil ran a variety of Dairy Queen franchises while being paid by the department, both ignored waste and mismanagement at the state’s Spaceport project (the state-funded launch site for Virgin Atlantic), and top officials reportedly engaged in such sexual improprieties as extramarital affairs with subordinates. Public scrutiny often gets ratcheted up through the observations of reasonably high-level whistleblowers. Not all the allegations will be proven, but whistleblowers sometimes attract internal and external government scrutiny that’s sorely needed. Just ask General Eric Shinseki, Secretary of the Department of Veterans Affairs, who has been avoiding the press for a couple of months now in the wake of mounting questions about problems of waiting lists and appointments at VA hospitals. It has been a little sad to watch CNN reporters peppering the Department with requests to speak to Shinseki and getting no response. However, after a VA scheduling clerk named Philip Brian Turner said that he had been instructed to manipulate data on waiting lists for appointments at VA clinics in San Antonio and Austin, General Shinseki ordered a nationwide audit of VA clinic wait times. The Texas charges follow allegations by a VA doctor in Phoenix, Dr. Samuel Foote, who alleged that wait times at the VA hospital in Phoenix were manipulated, and that as many as 40 patients may have died due to delays in care. Both Foot and Turner, as whistleblowers, have already been the subject of attacks, prior to any comprehensive VA investigation, that their observations aren’t credible or supported by the facts. However, increasing information about the responses of Shinseki and his deputies to the questions about problems at the hospitals—notably, the VA deputy secretary’s congressional testimony that there were no problems at all in Phoenix—has prompted criticism from groups such as the Iraq and Afghanistan Veterans Association and a call for Shinseki’s resignation from the American Legion. The American Legion and IAVA criticisms of Shinseki has been countered by Vietnam Veterans of America, whose spokesperson cautioned against a rush to judgment; by President Obama, who has expressed confidence in Shinseki; and by Vermont Senator Bernard Sanders, who said he feared that the criticisms of the VA might be an effort by Republicans who, in their zeal to see government shrink, would use the waiting list allegations to push for full or partial privatization of veterans healthcare services. 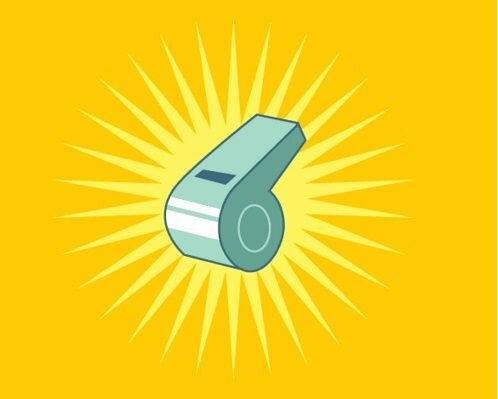 Thanks to the much-reviled Sarbanes-Oxley legislation, whistleblowing counts in more than government. At Blue Cross Blue Shield in North Dakota, the former medical director for behavioral health filed a whistleblower suit stating that BCBS was allowing some clients to receive more benefits than others on the same plans. Is “founder’s syndrome” a real thing? Here, Elizabeth Schmidt writes that the collection of characteristics and behaviors that make up the syndrome are hardly exclusive to founders and that we ought to stop the “simplifying, exaggerating and blaming” that accompanies this popular diagnosis.